We understand just how big your big day truly is and how important it is to get it just right. So at Hadley Marquees all initial consultations are with a company director who will then manage your special day through to the first dance and beyond if you opt for our ‘babysitting’ service. We take care to listen to your needs and provide a fully coordinated and tailor made service. We take the stress out of the planning – we can sort out the fundamentals – such as toilets, generators, heating and lighting whilst you concentrate on the finer things such as floral arrangements, menus and of course the all-important guest list. 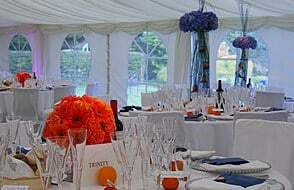 Hadley Marquees undertake a free site visit and offer a 2d/3d planning service so you can visualise exactly how the marquee will look, from the positioning of tables and chairs to the dance floor – nothing is left to chance. We pride ourselves in making sure everything is planned and carefully considered ensuring that all the ingredients in making your special day come together, we want to be part of creating perfect memories because your event is our reputation. Hadley Marquees has over 20 years experience in helping create perfect memories of what will be a momentous day in both your lives. We provide a wedding service as individual as you and with our trusted network of suppliers we will work hard to surpass your expectations. 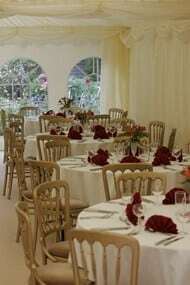 Wedding marquee hire in Norfolk, Suffolk, Cambridgeshire and Essex by Hadley Marquees the leading wedding marquee specialists.